Tonia Bug, Blanca Luz, PARTS and FLUSHED perform in Eastown for girl's rock camp benefit. The thirty-one days of Halloween are in full swing here in Grand Rapids, MI, where locals cheerfully greet sweater weather and warm up with beer city’s eclectic tastes. Thursday night series with Atmospheric Promotions continues into October, and for a fantastic Halloweekend show, we bring you Ladies Rock! Grand Rapids Halloween Benefit on the 27th. Ladies Rock! is an extension of the awesome summer camp Girls Rock! Grand Rapids (GR!GR), where young women learn from volunteer coaches and role models to help along their dreams of becoming performing musicians. Girls Rock! is an international organization, and we are lucky to have so many enthusiastic volunteers helping the next generation of girls here in Grand Rapids. This benefit concert, where donations will be accepted, has an emphasis on the mission of this organization and highlights both volunteers and alumni! Lena Nirbor and Jes Kramer are co-founders and committee members of Ladies Rock, which is committed to empowering women through music and community building, with emphasis on diversity, healthy creative outlets and supportive relationships. "We are currently organizing volunteers, gathering equipment, and fundraising for our first Ladies Rock Camp," Nirbor said. "Our goal is to reach women who have an appreciation for music and want to become songwriters, and provide them with the resources and skills to realize that goal. " "Our primary way of achieving that is through a camp experience. We are providing a weekend rock camp for women 21 and over. The campers will be assigned an instrument of their choosing (guitar, bass, keys, or drums), and be split into bands with the goal of writing at least one original song by the end of the weekend." Lena said music challenges oneself to have a deeper understanding of emotion and self-awareness. "It's a tremendously powerful form of communication, and it helps us to identify with each other." Girls who attend GR!GR can expect a similar camp experience next summer. For more information on getting involved with the camp, please visit http://www.girlsrockgr.org/. Tonia Brueck, formerly of Grand Rapids pop punk band The Lippies, is a volunteer at Girls Rock! Grand Rapids and a performer at the Ladies Rock benefit show. Using the alias “Tonia Bug” for her solo music, Tonia is known for her powerful vocals, energetic stage presence, and charming ukulele songs. I asked Tonia to tell us about her experience in the camp. “My job as ‘assistant band coach,’ along with a couple of other coaches, was to help a group of girls write a song together as well as come up with a band name and logo,” she explained. See Tonia's performance next week Thursday, the 27th, at Mulligan's Pub, where she will "probably refuse to use a microphone" and throw in some other surprises as well. Alongside her will be punk trio FLUSHED, Rock n' Roll outfit Blanca Luz, and a new electronic duo called PARTS. 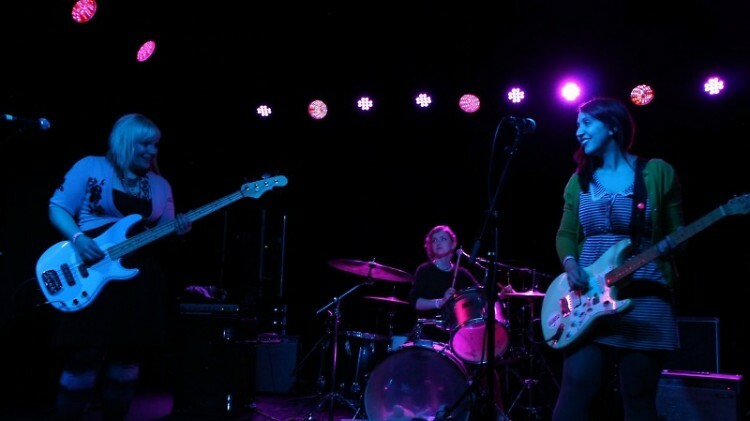 FLUSHED is self-described as "powercute" and "noisepop", making their imprint on the scene with their full length album, Care Less which was released at Long Road Distillers in April. 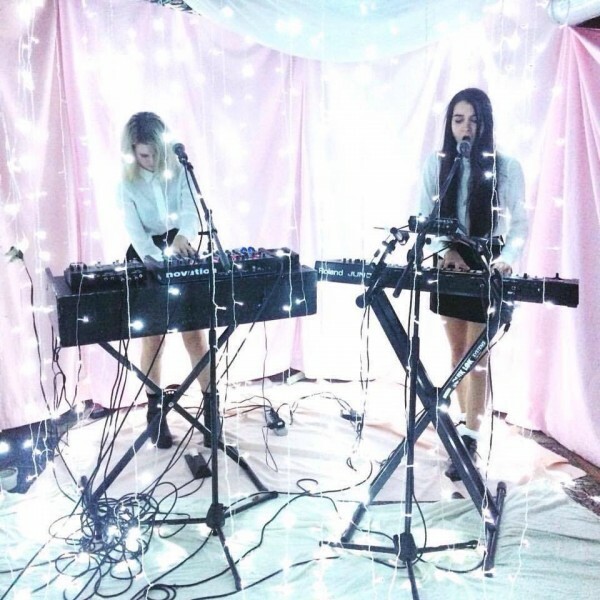 PARTS is a new electronic duo gaining attention for their 3-song EP, which was released on tape last month, that blends 80s-style beats with vintage synths and airy, atmospheric vocals. Blanca Luz will be playing some rock n' roll tunes and is currently working on recording an EP. "Although songwriting and performance has almost always been a solo activity for me," said Co-Founder Jes Kramer, "I've been lucky enough to find a network of musicians in this city who support and encourage each other." "Music creation can leave you so vulnerable, and sometimes it's really hard to share what you've written. We want to create an incubator for doing just that. By creating a safe space for women to write and play music together, we'll get to hear even more stories from an under-represented part of this music scene." When asked how Ladies Rock will benefit the community, Kramer responded, "One of the most common responses we received when a Girls Rock program was launched in Grand Rapids is 'I wish they had this when I was a kid.' 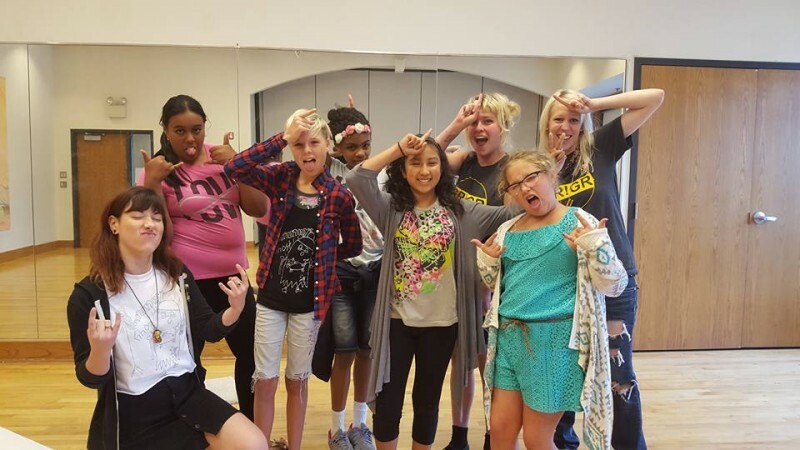 There are so many adults who crave the safety and creativity fostered by Girls Rock Grand Rapids, so we want to provide that opportunity." If you or someone you know is interested in donating, volunteering, or learning about the new organization, please email [email protected], or swing by Mulligan's Pub next Thursday, the 27th, to see some local talent and meet the women involved. Don't forget to wear your Halloween costume! This event is brought to you in part by Atmospheric Promotions.